Leads 2 Business take up the call against tender irregularities and corruption. Leads 2 Business has added their voice to the outcry against tender irregularities which is crippling not only the construction industry but the country as a whole. 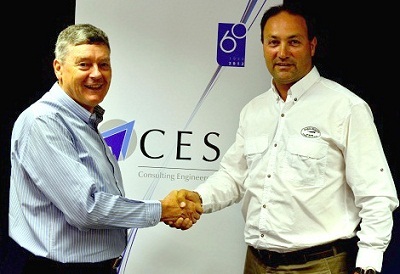 In a recent press announcement, CESA stated that they had set aside one million rand towards their anti-corruption ‘war chest’ which they plan to utilise by taking legal action against corrupt municipalities and private companies that have acted irregularly or illegally in the process of awarding or securing contracts. Putting their money where their mouth is, Leads 2 Business (L2B) donated one hundred thousand rand towards CESA’s anti-corruption War Chest. L2B Founder and CEO, Victor Terblanche stated that “Our subscribers are feeling the brunt of the gluttony practiced by corrupt officials and fly by night companies; it’s about time that we unite and front up against the scourge that is so blatantly prevalent within the tendering industry. Ethical Professionals, Contractors and Suppliers alike are adversely affected by anti-competitive behavior in the form of incompetence, corrupt practices, mismanagement, irregularities and outright fraud.” He noted. He concluded. L2B provide a niche service for business organisations to source, manage and disseminate information on tenders and projects within the construction industry.